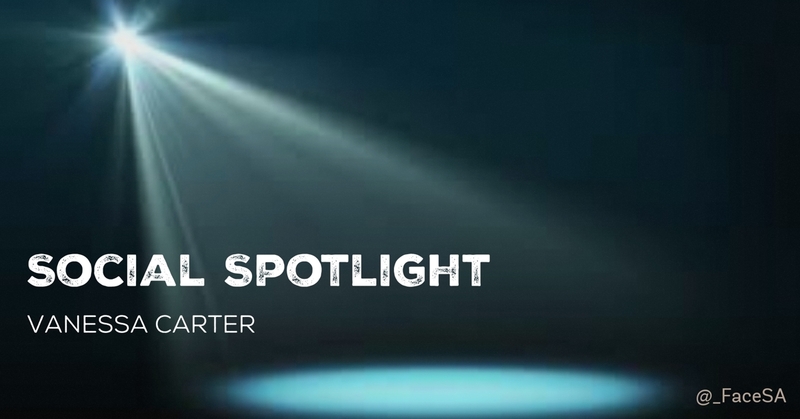 This week it is my very great pleasure to interview Vanessa Carter. 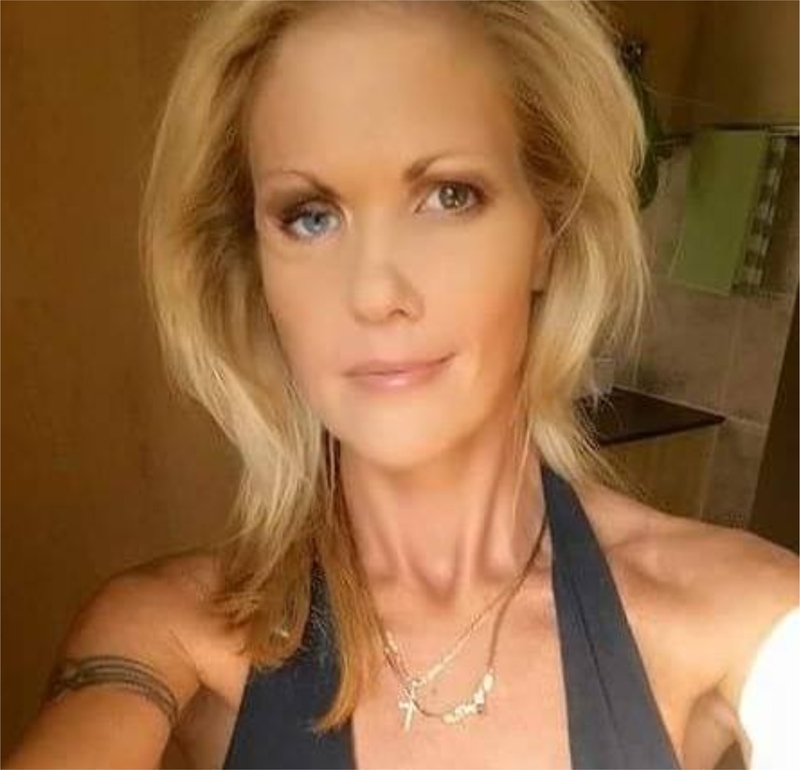 Vanessa is an internationally recognised South African Facial Difference and MRSA ePatient speaker. She is also the founder of hcsmSA which is an acronym for Health Care Social Media South Africa. Hi Vanessa, can you tell us a little about the work you do. VC: I am an ePatient advocate (Empowered Patient) from South Africa and I speak internationally at various events about facial differences, antibiotic resistance (MRSA) and web 2.0 from a patient perspective. I am an ambassador and advisory board member for Doctors 2.0 and You, Paris which is associated with the Stanford Medicine X conference. I am the founder of #hcsmSA which is a South African eHealth TweetChat and I am also in the process of developing it into a course locally. I am a panel advisor to EyeforPharma, an international event focusing on the future of digital pharmaceuticals, as well as an ePatient advisor to Docola, a virtual platform for patient engagement. I am a member of the Walking Gallery (an ePatient movement that focuses on participatory medicine and eHealth) and a member of The Society for Participatory Medicine. Your work is impressive Vanessa. When did you start using social media. What prompted you to get started? VC: I first used social media in 2008. I owned an advertising business for 18 years in Johannesburg which specialised in brand development for small businesses as well as search engine optimisation (SEO), online marketing and website design. I always believed in the value of networking in business and therefore was a member of several chambers of commerce. In some ways, I view social media as a virtual version of that. Concurrent to my business, in 2004 I was involved in a severe car accident which caused many injuries. The most significant was a facial difference (disfigurement). I spent close to 10 years using the web to research the varying specialists as well as to understand the sequence of surgeries. The reconstruction required certain steps for it to be successful. During the course of these years, I experienced a scarcity of resources online which included doctor’s websites, patient education and patient stories which I could compare myself to. I suffered multiple complications and after my 7th year, a 3D printed implant became infected with antibiotic resistant bacteria (MRSA) which had to be removed, my progress was forced back by several years. I then committed my time to compiling my 600 page medical history into a 4 page summary and I emailed it around the world to leading facial surgeons. One day, a light of hope shined on me, I received a reply and I was able to have a Skype consultation with a world-leading face transplant surgeon in the US who dealt with cases like mine daily. The direction that he gave me, empowered me to find the right specialist in South Africa. Ironically, the professor who performed the bone surgery was several kilometres away to where I lived, but I couldn’t find him because he didn’t have a website. Within 8 months, 3 surgeries and 5 doctors, my disfigurement had been restored to an acceptable state. The game changer was having that direction so that I was able to understand my injuries and make confident and informed decisions going forward. This experience prompted me to diversify my advertising business and I shifted my focus to health care. I established a division which offered medical websites and social media to encourage online participation and improve access to patients in terms of finding local resources. I formed partnerships with companies like Nucleus Medical Media in the USA so that we could offer the integration of visual media like animated videos. Instant access to patient education on a physician’s site could reduce the need to search online and reduce disorganisation between doctor and patient, among other things. In 2013, I was nominated in the top 25 entrepreneurs in South Africa at the NSBC awards in recognition of the innovative achievement. In 2013 I also created the FaceSA Project, which was a Facebook page to promote awareness for facial differences in South Africa. My objective was to promote acceptance for patients who were unable to receive corrective surgery, as there is limited support. Programs such as the Johannesburg Craniofacial Unit operate from private hospitals because there is limited funding to establish a multi-disciplinary team in the public sector, this inflates the costs excessively. Many people associate facial differences to cleft lip and palate, which is correct, but some more severe cases can be caused by rare disease, Cancer, congenital abnormalities, burns, trauma and more. Legal Acts also don’t state clearly when a facial difference is a disability and often patients lose their rights because they themselves are unsure. Another reason I created the Facebook page was to promote medical technology, where we lagged behind. I found a large gap between what I had researched online and what my physicians knew. I believed it was important to create awareness about that. After reaching out to several Universities to curate articles for the page, I connected with an emerging technologies librarian called Patricia Anderson, she was wonderful to spend some time mentoring me and one day popped the big question “Have you tried Twitter?” I was a little edgy at first, because I perceived Twitter as a platform for celebrity gossip. I gave it a try and within several weeks had hundreds of followers. I was also invited to attend the #hcldr TweetChat which I woke up weekly for at 2.30am SAST out of genuine dedication to learn. I then connected with Symplur‘s, Tom Lee, one of the co-founders who spent time mentoring me about analytics and The Health Hashtag Project which I now use daily. After several months of using social media to build awareness, I submitted the #FacialDifference hashtag to Symplur and started to build that patient community. I also submitted #hcsmSA (Health Care Social Media South Africa) so that I could diversify the work I was doing on a broader scale. 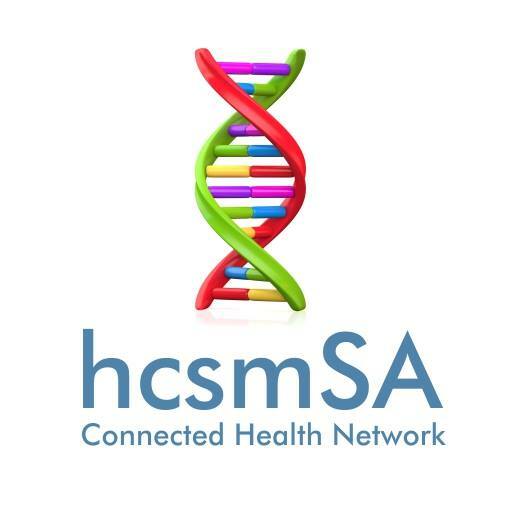 This year #hcsmSA launched as the first South African TweetChat for eHealth. I have also started writing a series of eBooks in order to develop a course locally to train physicians and health workers how to use the web and social media correctly. I believe the slow adoption to participate is partly due to education and this could help towards accelerating that. As an example, I am providing a skills development workshop in October to a group of women in Johannesburg, at the Women Advancement Forum; these women want to grow their community projects in rural areas, the right web skills could make a major impact to their projects if someone takes the time to show them how. VC: It’s difficult to choose a favourite, I like Linkedin, Facebook and Twitter for varying reasons. They each have their own unique set of tools and target different demographics. While one might be superior on a marketing level, another may be on a technical level. In terms of innovation, education and network building for eHealth, Twitter would be my first choice. It offers useful tools like “lists” so that you can customise your newsfeed or manage your web research more effectively There are endless reasons, these are only a few which set it apart as the preferred platform for global eHealth. Which topics interest you? Apart from #hcsmSA, do you take part in any other twitter chats? VC: I have numerous interests; I am definitely a “tech-junkie” and some of my favourite experts for that are Eric Topol, Bertalan Mesko and James Canton. I also following genomics very closely, I spent some time this year in Edinburgh attending various lectures about genomics. Precision medicine is another area of interest, because I believe with all of the digital tools we have available now, if it were re-organised and re-designed right, we have a good chance of accomplishing that. In terms of TweetChats, I have taken part in the past in #healthXPH (Phillipines), Pharmaphorum which has a wonderful webinar series, #hcldr (Health Care Leader – Global), #PatientChat and #doctors20. Some of the chats have been difficult time zones, but I have made a point to listen to the on-demand recordings or downloaded the transcript from Symplur. I have recently launched the #hcsmSA TweetChat which I moderate and it is based on the same model as my neighbouring geographic communities (e.g. #hcsm, #hcsmCA, #hcsmANZ), of course focusing on South African health. VC: Be persistent to learn because the world is changing and we are moving towards a digital revolution, don’t get left behind in whatever area of medicine you are now in. Try new platforms for the sake of experience. Don’t be reluctant because of fear. For example, if you decide to give Twitter a try, you don’t have to tweet immediately, you can simply listen in by following hashtags and other users. Not everyone is built for networking. The value that social media holds goes beyond that, the most important value of understanding health 2.0 lies in the knowledge you gain, and it is much easier to access that wisdom on social media than it is when you are Googling away, choose one platform, learn to use the tools and expand from there. Don’t let time be the issue, if you Google and search in web 1.0, next time try web 2.0. What a wonderful note to end our interview on Vanessa. Keep up the wonderful and important work you are doing and thank you for taking the time to share your experience with us today. Tagged: #hcsmSA, Docola, Doctors 2.0 and You, epatient, EyeforPharma, Facial Difference, South Africa, Stanford Medicine X, The Society for Participatory Medicine.